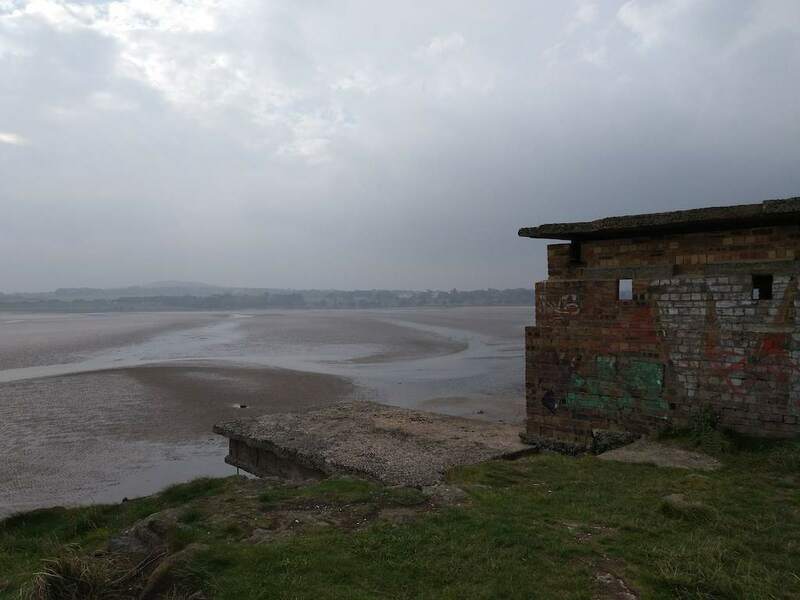 Cramond Island is a tidal island with a post-apocalyptic feel, located in a quiet Edinburgh suburb. You may be wondering what on Earth is a tidal island. Well, it’s an island in the sea, which you reach by walking across the seabed when it is low tide. 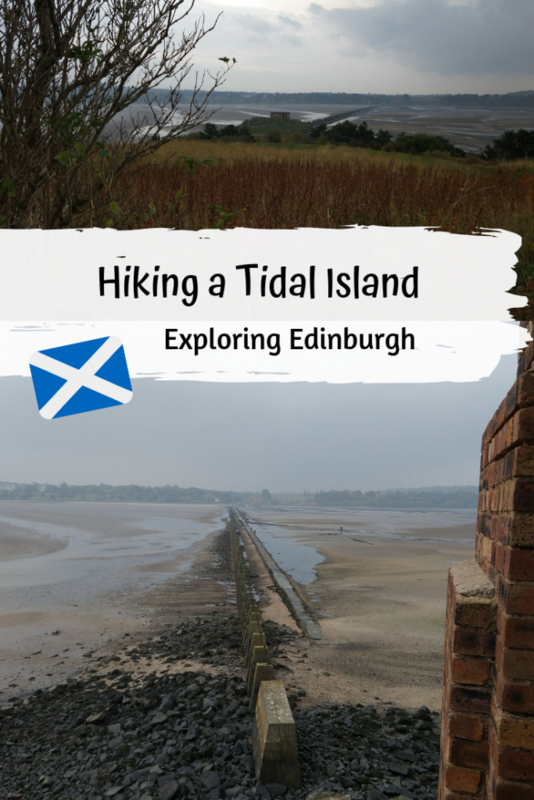 In the case of Cramond Island, there’s a stone path which leads you all the way to the island, without getting your shoes too wet. The path is about 1.6km (equivalent to 1 mile) long and takes about 20mins to cross. 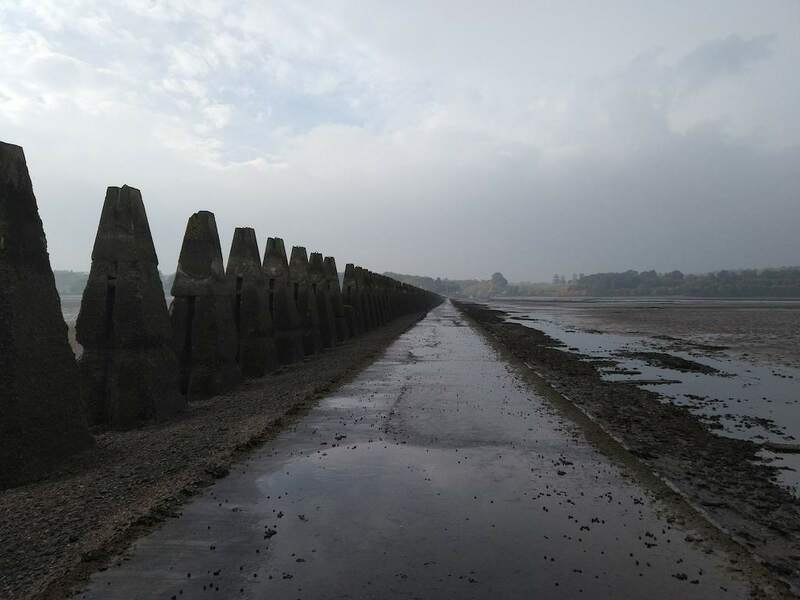 Cramond is easy to reach from the city centre, simply hop onto the Bus 41 towards Cramond Island from Hanover Street. If you’re taking the bus, make sure you have the fare exactly, as bus drivers cannot give you any change. 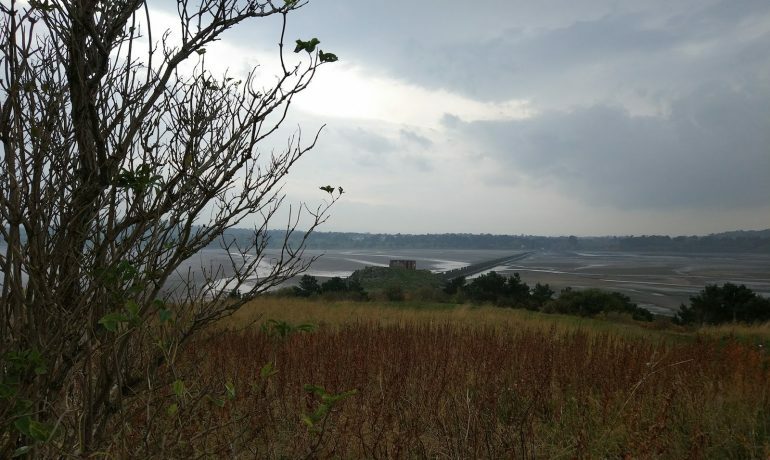 As the bus gets closer to the edge of Cramond Island, you’ll notice the bustling city turning into a quiet suburbia. But do not fear, dear Thrill-Seeker, adventure is just around the corner. It’s a quick walk from the bus stop to the beach. (Bonus tip: There are public toilets just next to the beach). Before we continue, I have to give a big warning. It wouldn’t be an adventure, without a risk, so make sure you take the risk seriously. Make sure you check the crossing times to the island carefully. You can do so online here, as well as on the signs next to the path. Many people underestimate how quickly the tide rises again. This could leave people trapped on the uninhabited island or, even worse, get you stuck in open water along the path. So, make sure you plan enough time in for your visit and crossing back over to the mainline, before you set out on your adventure. Other than that, you’ll probably want to bring waterproof shoes which won’t make you slip easily on the partially wet path. That said, we admit we were a little nervous when we arrived. However, once we stood before the causeway, we realized many locals were walking to the islands with small kids and regardless of if they needed a walking stick. Since we had gotten there early, we felt emboldened to cross ourselves. The pillars on the side of the path, formerly used to block of ships as military defence, offer a fascinating, otherworldly backdrop as you make your way through the gorgeous scenery. The island itself has an adventurous feel to it, too. Post-apocalyptic may be the first word coming to mind. During the two World Wars the island was used as a base to protect the mainland. What remains are empty concrete structures, covered in graffiti. You’ll find these small concrete houses or, in some cases, the ruins that remain of them, all around the island. As you continue up to the highest point in the middle of the island, you also get a gorgeous panoramic view of Edinburgh, the Forth bridge and the surrounding islands. If you’re lucky, you can apparently even spot seals and other marine life sometimes. Once we had taken the short walk of the back of the island, the weather turned and we noticed the wave creeping closer along the side of the island quickly. Therefore, we decided to head back towards the mainland. We still had about a little more than an hour to spare until the last safe crossing but seeing how fast those water levels rise, we didn’t want to underestimate them, especially with the weather worsening. After our little trip to the island we had our sandwiches on a bench in front of the path, enjoying the view. Then we walked along the River Almond, along where it flows into the sea. The short path leads to some small waterfalls and from there it’s just a few metres up the street back to the bus stop. 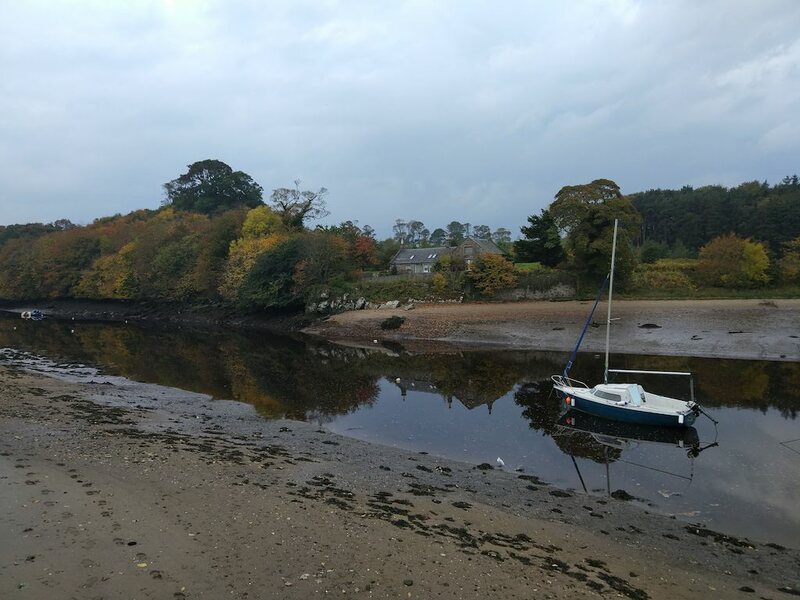 If you want to stay a little longer in Cramond, there are also Roman ruins, you can explore.